The Bath Good Food Awards recognises the best of Bath Food, Bath Restaurants and Local Producers from Bath and North East Somerset. 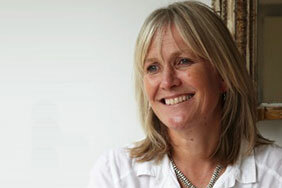 Angela Mount is a wine expert and presenter, who is often credited with revolutionising wine on the high street. Angela’s taste buds were famously insured for £10 million when she was head of wine buying at supermarket chain Somerfield. She is a frequent presenter for the media and at consumer and business events on food and wine matching, and has worked with top chefs including Gordon Ramsey and Anthony Worrall Thompson. Angela has been named as one of the top 50 most influential people in the Wine Industry by The Drinks Business, and is also head judge for Bristol Good Food Awards. Xanthe Clay originally worked as a bookseller specialising in cookery books, before training to become a chef at Leiths School of Food and Wine. She has worked as both chef and caterer in and around the West Country, before becoming a food columnist for the Telegraph newspaper. Since then she has worked on both food and cookery features for Weekend Telegraph and is the author of several cookery books including The Contented Cook: Fuss-free Food Throughout the Year and Recipes to Know by Heart. In 2003, a young Josh Eggleton won the Gordon Ramsay College Scholar competition, confirming he was destined for a bright future in the industry. Josh spent his early career developing his craft in Bristol’s harbourside restaurant the Olive Shed. Since then he has worked across the globe in some of the world’s finest restaurants including Sicily’s il Mulinazzo, New York’s Chanterelle and the 3 Michelin starred French Laundry of California. In 2006 Josh became one of the youngest pub and restaurant proprietors in the country by taking over The Pony & Trap at Chew Magna, which under his direction received a Michelin star in 2011, and retained it in 2012. Josh was winner of Best Chef at Bristol Good Food Awards 2014. Ping Coombes won MasterChef 2014, stunning the judges with food inspired by her Malaysian heritage. This passion was apparent during MasterChef, and since being crowned winner Ping has become a Malaysia Kitchen Ambassador, promoting Malaysian food around the UK and abroad. She was involved in the first MasterChef Pop Up in the UK that was sold out in record-breaking time. She has given talks about Malaysian food at the World Economic Forum in Davos, appeared at Malaysia Nights in Trafalgar Square and prominent food festivals including Taste of London. Ping is the culinary partner for Scott Dunn, a premium travel operator in designing their winter and summer menus, and trains their chefs. Ping is also the Executive Chef to Chi Kitchen, a Pan Asian Restaurant and splits her time between London and Bath. The restaurant is due to open another outlet in Islington. She also regularly collaborates with well-known chefs and restaurants in hosting pop ups. Her latest pop up is with one of her food heroes and Michelin starred chef Atul Kochhar at his restaurant Sindhu in Marlow and Benares in London. Ping appeared in The Good Food Channel’s John Torode’s Malaysian Adventure broadcasted in 2016 and guest chef on popular daytime talk shows such as ITV This Morning and Sunday Brunch. She makes videos for Malaysia Kitchen and Chi Kitchen You Tube Channel. She is about to launch her own You Tube Channel later this year. Ping’s first book MALAYSIA published in May 2016 and has topped the Best Seller on Amazon on regular basis. It is at its 3rd reprint due to popular demand. MALAYSIA is also due to be published in America on 26th April 2017. A tax specialist by trade, Steve’s reputation as more than a gifted amateur was cemented in 2013 when he won the title of South West’s Best Dish at the South West Chef of the Year competition. He is a member of Bristol Food Policy Council and Chairs West of England Local Enterprise Partnership Rural and Food Group. He judges for Taste of the West, Guild of Fine Food, Western Daily Press as well as being on the executive judging panel for the Soil Association’s Organic Food Awards. Steve also organisess food festivals, hosts several demo stages and charity dinners. Jenny Chandler trained at Leith’s School of Food and Wine. She lives in Bristol where she writes about cookery and teaches at her school The Plum Cooking Company in Clifton. She also teaches at The Bertinet Kitchen in Bath and the W.I’s Denham College as well as various London establishments. While living in Barcelona Jenny fell in love with Mediterranean food, and has written two Spanish cookbooks, The Food of Northern Spain and The Real Taste of Spain. David Rose has been a lover of good food and cooking since he was a small child, when he used to sit in the kitchen, one eye on his homework, the other watching his Mum cooking interesting dishes from around the world. Diagnosed as a Coeliac in 2011, David has since been championing gluten free dining in Bath. Although he runs a software business by day, he is often found on twitter, recommending what and where gluten free visitors to Bath can eat. Thornbury born Andy is a TV Food Series Producer and has been involved in television cookery for 10 years. His credits include ‘Saturday Kitchen Live’ which he produced for 7 years and ‘James Martin: Home Comforts’ both on BBC1 and is currently working on big TV food projects for ITV and Food Network. Keen cook and wine enthusiast, Andy has also produced and directed live cooking demonstrations at BBC Good Food Shows and trains chefs who aren’t used to cooking on TV by helping them make the transition from kitchen to camera. Andy has a regular ‘Foodie Friday’ slot on BBC Radio Bristol and writes for Crumbs Magazine and on his own food and drink website one4thetable.com. Look out for Andy recommending wine on ‘Word to the Mothers’ a brand new series made by and for young mums on the ‘Made in Bristol’ TV Channel. Simi is a cookery teacher, writer and allotmenteer. She was born in the Azerbaijan region of Iran, famed for its food, and grew up in Anglesey north Wales. Following her degrees, she worked with London Underground, Ford, and Mondex in Toronto. After a few years as a customer experience manager at HSBC in London she took some time off to travel in Iran and Turkey. In the last eight years, she has been teaching Persian cookery from her home in Bath and local cookery schools and colleges. She also bakes gluten and dairy free cakes & jam with ingredients she grows or picks in Bath. She travels to Iran regularly to visit family, research recipes and ingredients which shares on her classes and in her blog. Born in Bristol, Adrian has been head chef at Billesley Manor, Stratford and was the inspirational Curriculum Manager at City of Bristol College RWE, where he helped to train many of Bristol’s top chefs. He was also the founder of the original Chef’s Forum and winner of Best Ambassador for food 2014. Adrian is currently Catering Development Manager at St Monica Trust and involved in much charity work, which includes Bristol Soup Run Trust, ARA and the Bristol Drug Project. 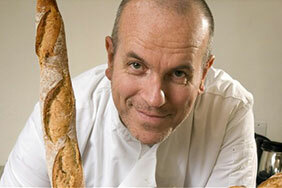 Richard was named the BBC Food Champion of the Year 2010 at the BBC Food & Farming Awards on 24 November 2010. He trained as a baker from the age of 14 in France and has held a number of head chef positions in the UK since the late 1980s. In 2005 he opened his own cookery school and is now a chef and food expert on TV. 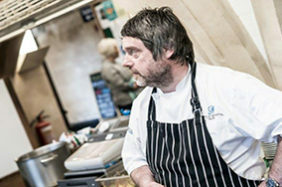 Chris Staines, who grew up in Suffolk, is a highly acclaimed chef in the UK, and is very well regarded in the industry. He was Head Chef at Foliage, Mandarin Oriental, where he held a Michelin star for 7 years, and worked with Marco Pierre White at The Oak Room which held 3 Michelin stars. Most recently Chris ran Allium restaurant at the Abbey Hotel, which garnered national praise from critics such as Jay Rayner, and became the go to local favourite of Bathonians. Chris’ philosophy is to use the freshest possible ingredients, in a menu which combines variety and style, often with surprising yet thoughtful combinations. His love of Asian cuisines is often incorporated into his food, providing dishes with a real punch and clarity of flavour. Vietnamese born Noya is based in Bath where she runs weekly Vietnamese Supper Clubs, cooking classes and private dining experiences. After a career as a textile designer, Noya established Noya’s Kitchen three years ago with a ‘one off’ pop-up Supper Club for her friends in The Bear Pad Cafe on Bear Flat. The night went well, word spread like wildfire and her regular Supper Clubs are now one of the hottest foodie tickets in town! Kalpna Woolf has years of experience developing successful food ideas for national and international audiences for the BBC. She is an experienced family cook and last year, published a boo,k Spice Yourself Slim harnessing the power of spices for health and to create delicious dishes. Kalpna was instrumental in setting up the biggest food festival in Bristo, incorporating the BBC’s Food and Farming Awards. In 2013 she won the prestigious Asian Woman of Achievement award. She has also founded a project called 91 Ways to Build A Global City –which uses the uniting power of sharing food to bring the 91 language communities of Bristol together to break down barriers and build common ground. Larkin Cen was a finalist in the 2013 series of MasterChef. After practicing as a solicitor for 4 years, he decided to follow in the family’s footsteps and embark on his lifelong dream of being an entrepreneur. Having grown up in his parent’s Chinese takeaway, he noted that the Chinese food sector was too fragmented, and most importantly that the food style was outdated. After his time of MasterChef, Larkin has established himself at the 5 star Celtic Manor Resort in Wales with restaurant Cen at Celtic Manor offering a deliciously different dining concept featuring an menu of fresh and contemporary Asian Cuisine. In October 2016 Larkin opened his new casual Asian diner called Woky Ko. They serve bao’s, noodles and small plates all freshly cooked to order from a menu which reflects the freshness of Asian food. Fiona Beckett is an award-winning food and drink journalist, author and web publisher with over 25 years of experience of writing for the UK’s top newspapers and magazines. She is currently wine columnist for The Guardian, restaurant reviewer for Decanter and a regular contributor to BBC Good Food and Delicious and publishes her own website www.matchingfoodandwine.com. She has written 23 books on a wide range of subjects from champagne to cheese, and has recently embarked on a series of e-books on food and wine matching entitled 101 Great Ways to Enjoy ….. Her latest book Winelover’s Kitchen is published this autumn by Ryland, Peters & Small.